Naturally there was great euphoria when during the run up to the semifinal for the recent Tank Biathlon held at the 2017 International Army Games at the Alabino Range training ground outside Moscow, where the Indian team performed exceedingly well – coming toppers. The social media was jubilant, with one Facebook post reading, "The Indian media has not covered this brilliant performance of the Indian Army. 19 armies of the world including China are competing in the international war games in Russia. Our Indian Bravehearts are First in the war games. They have made us proud. This will never be given any coverage. Let's join hands in circulating this achievement of our soldiers". But then came the news that during the semifinals held on August 10, 2017, The Chinese team took first place in the competition against Indian, Iranian and Venezuelan teams, advancing into the final scheduled on August 12. What came as the heartbreak shock was that the Indian team withdrew after both their tanks broke down before completing full course of the semifinal run. 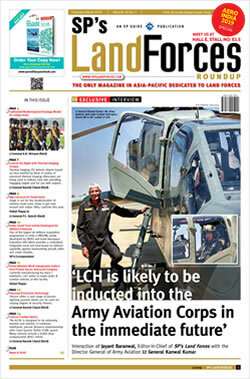 The news report also brought out that: teams competing in the final drew lots for the carpet colors and the ways of passing the routes by the tank crews; Russian team was to perform in the final in a red tank and a red carpet, Belarus team on a green carpet, Kazakhstan team on a blue carpet and Chinese team on a yellow carpet. These four teams had also reached final of the Tank Biathlon during 2016. Russia and Kazakhstan performed on Russian-made T-72B3 tanks, China on its Type-96B tank, and Belarus on a modernized T-72. In the past, India had participated in these games using T-72 tanks provided by the Russian hosts. The Army felt disadvantaged using these tanks and was keen to field its best tanks and best crews. Consequently, two T-90 tanks were shipped to Russia for these games. The Indian team, like all other participating teams, had 21 personnel including team members, a coaching crew and a maintenance unit. 12 teams made it to the semi-finals including India which involved a relay race. 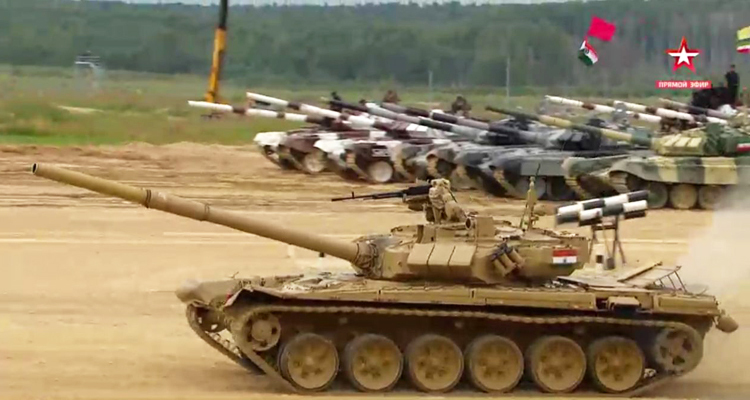 According to some sources, both the main and reserve T-90S tanks shipped for use by the Indian team Russia, developed 'engine problems' after performing exceedingly well in the initial rounds of the competition. But what eventually emerged is that these so called 'engine problems' actually occurred because the fan belt snapped in the first tank. The reserve tank was then deployed for the race but it's entire engine oil leaked two kilometer before reaching the finish line, so it could not complete the race. It is, therefore, not like the Indian team withdrew, as reported by some newspapers, but the team was very much disqualified, perhaps not because of any fault of the participating team. The incident may be brushed aside under the pseudonym 'mechanical failure' but it would be foolish to not recognize the loss of face at an international event of this nature where 19-nations were participating and the whole world watched, even if our media only woke up after the Indian team lost out. This is a case which has ramifications not only for future competitions but more significantly, operations. Hence close introspection is very much necessary. 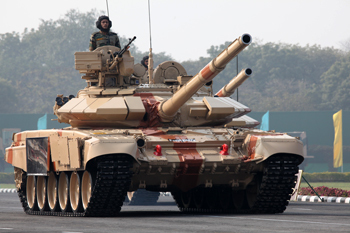 The T-90, nicknamed 'Bhishma', Indian Army's main battle tank (MBT) is a top class tank comparable to any other in the world. While itself on the move, it can take on a moving target with negligible chance of a miss. The Bhishma is being produced under license in India after the first 657 of them were imported for Rs 8,525 crore from Russia starting 2001. While inquiry into the failure of these two tanks can bring out the reasons beyond the broken fan belt and the oil leak, but it is not difficult to put the finger on the cause. Take your thoughts to when the Maruti-Suzuki cars hit the Indian roads. These were excellent vehicles but as the percentage of Indian parts started going up, it was not unusual an unusual sight to see Maruti-Suzuki cars frequently breaking down on the roads. This got rectified when Maruti-Suzuki and consequently Maruti realized the snag and went in for strict quality control. That is what would have happened in the instant case of the breakdown of the two Bhishma tanks in Russia; typical case of indigenous parts failing under extreme conditions. Can we learn from say Belarus whose '140 Repair Plant' has developed an upgrade package for their MBT's. Why should a new fan belt snap, as it did, and why should the entire oil leak out? The media says, "DRDO remains upset that the Army has not yet ordered upgraded Arjun Mark-II tanks after inducting the first lot of 124 Mark-I variants, stressing the indigenous tanks did better than the T-90S tanks in comparative trials in 2010". One couldn't be more naïve to compare the Arjun Mk-II with the T-90 and it is no secret why and how the Army took those 124. Hopefully, the debacle in the Tank Biathlon was not orchestrated to push the Arjun Mark-II. Incidentally, the quality of indigenous ammunition too needs serious introspection, evident from the 'Dhanush' failing some of the field tests during firing.